Throughout the year, the Manitowoc-Two Rivers YMCA hosts a wide variety of fundraising and programmatic events that are available for corporate sponsorship. Sponsorship opportunities for each event feature benefits that meet the complex needs of corporate philanthropy. By joining the Manitowoc-Two Rivers YMCA in its mission to build a stronger community through a healthy spirit, mind and body for all, you join a long strong history of leadership and public service. If your corporation would like to take advantage of one of the sponsorship opportunities described below or to explore other ways to support the work of the Manitowoc-Two Rivers YMCA, please contact Joe Metzen at 920.482.1529 or via email at jmetzen@mtrymca.org. 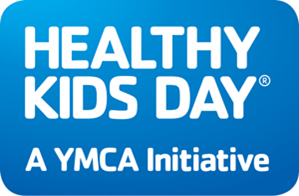 The Y will be celebrating YMCA’s Healthy Kids Day® in April of 2019, the Y’s national initiative to improve the health and well-being of families. Healthy Kids Day will include fun active play and educational activities to keep kids moving and learning, in order to maintain healthy habits and academic skills to achieve goals and reach their full potential. Millions of children and their families are expected to participate in Healthy Kids at nearly 1,600 events across the country. Summer is the time for kids to get up, get out and grow, but sometimes when the school year ends, so does a child’s exposure to activities that keep the body and mind active. Kids are less physically active and engaged in learning during the summer months. In fact, research shows that children gain weight two to three times faster during the summer vacation than during the school year. In addition, kids, particularly from low-income families, fall behind academically because they don’t have access to out-of-school learning opportunities. In fact, by fifth grade, low-income kids are two to three school years behind middle-income children. As a leading nonprofit committed to youth development, healthy living and social responsibility, the Y is addressing critical gaps in kids’ health and education. For more than 20 years, Healthy Kids Day has celebrated kids’ health and continues to teach healthy habits for kids and families, encourage active play, and inspire a lifetime love of physical activity.